Closeout. 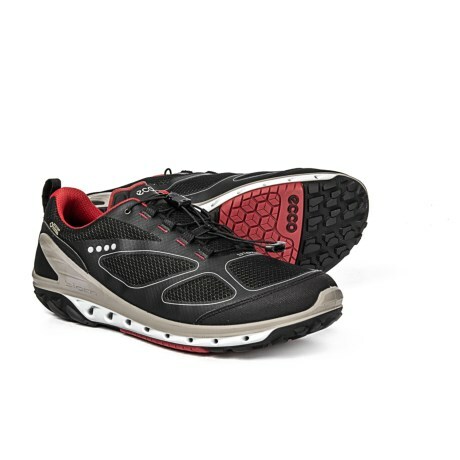 Wander confidently off the beaten path with the rugged, breathable construction and waterproof breathable protection of ECCOand#39;s Biom Venture Gore-Texand#174; hiking shoes. Available Colors: BLACK/BRICK. Sizes: 41, 42, 43, 44, 45, 46.